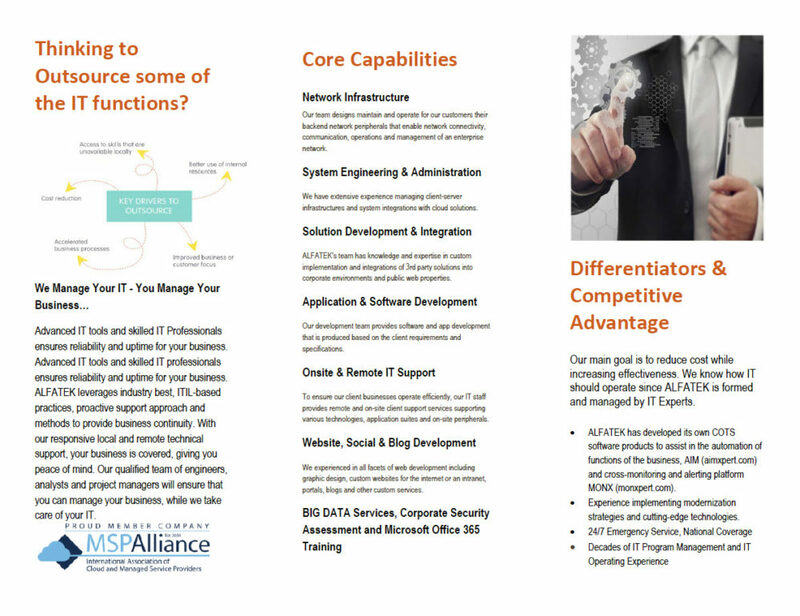 We are an IT Managed Services Provider and a Software Development Team. 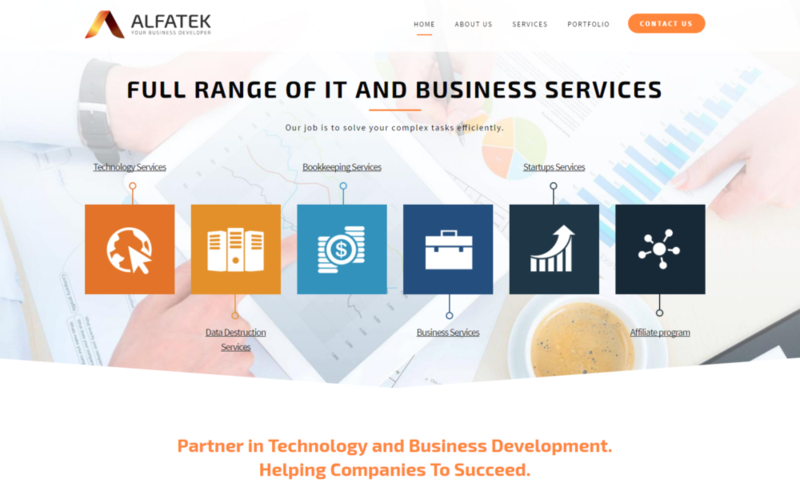 ALFATEK is founded upon decades of experience in an array of industries including IT Project Management, Infrastructure Engineering, Backend System Administration, Software Development and support for on-going IT activities in the corporate and government sectors. 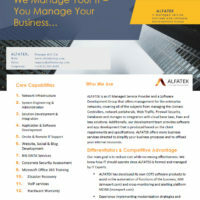 ALFATEK offers on-site as well as remote management for the enterprise network infrastructures. Covering all of the subjects from managing the Domain Controllers and network peripherals, web-traffic, Firewall Security, Databases and storages to integration with cloud base Saas, Paas and Iaas. 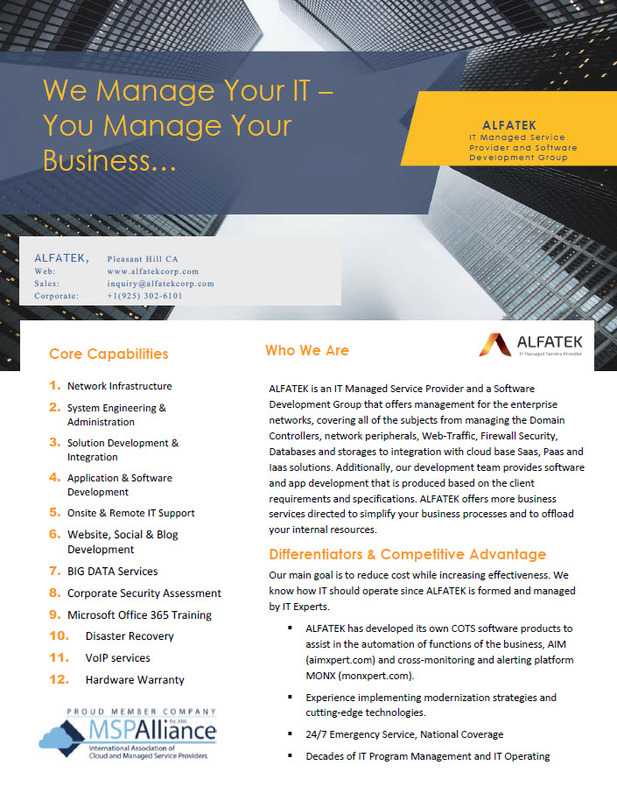 ALFATEK also offers in-house software solutions to assist better your business including our ARM platform that can provide leading-edge productivity assistance to your company. This includes time cards, purchasing, inventory management, including customizations for your business needs, and more. 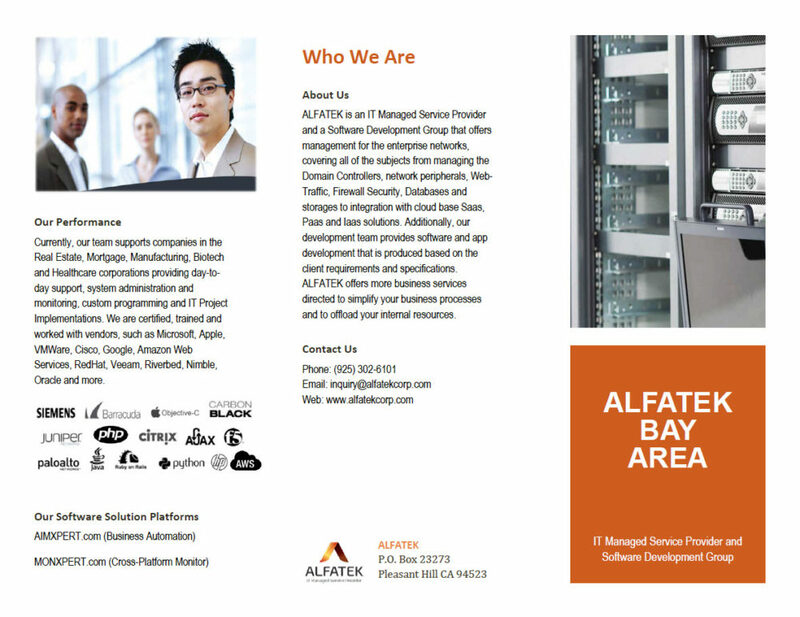 ALFATEK offers more business services directing to simplify your business processes and to offload your internal resources.